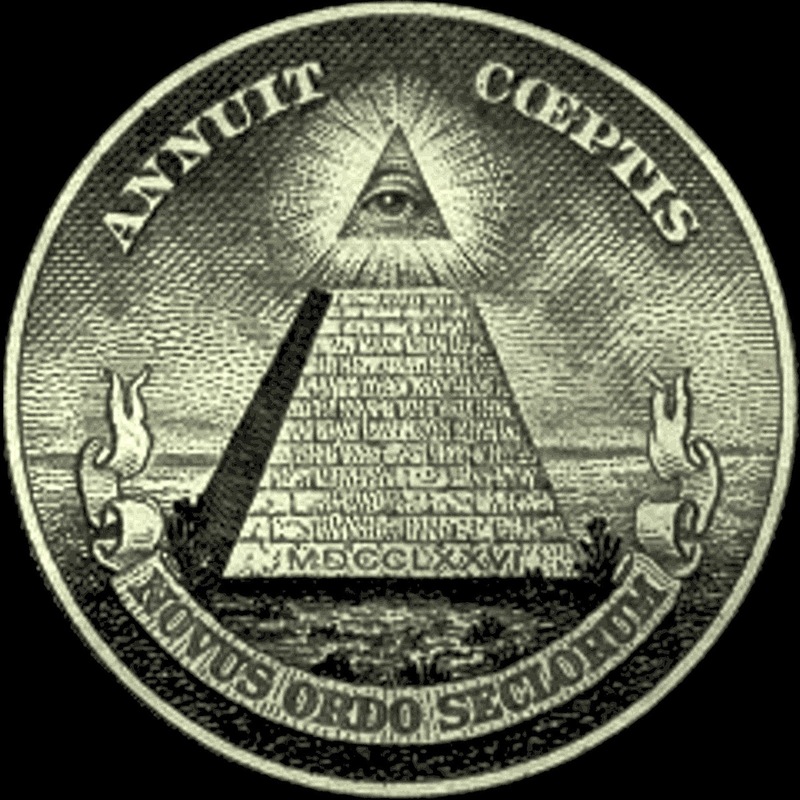 One of the favorites for conspiracy buffs, the Illuminati refers to various organizations claiming to have links to the original Bavarian Illuminati or similar secret societies that allegedly conspire to control world affairs. This is supposedly done by masterminding events and planting agents in government and corporations to establish a New World Order and gain further political power and influence. So what do you think, are there secret societies like the Illuminati out there? If so do you think they are plotting for a new world order? Sounds a bit "Nazi" to us and definitely creepy. I hope there is no one plotting! Darn serpent. We'd still be naked if not for him. Yes, I think the Illuminati exists. I think that they have done an excellent job of labeling anyone who thinks they exist as a conspiracy theorist (and therefore irrelevant). I think that they have taken over the money supply in the form of The Federal Reserve and the International Bankers run the world all for their own gain. I think one of the best hoaxes they have perpetrated on We The People is keeping us invested in Left vs Right fight, when there is no Left and no Right. The Democrats and Republicans are putting on a show so that the people who actually call the shots can keep on doing it. When you stop believing that there is a 2-party system - or that either of those parties is actually running anything - it all makes a lot more sense. You might read this and think, "She's paranoid." Just because you're paranoid doesn't mean that they aren't out to get you. It's likely there are some conspiracies, as we've had in the past political arenas. The higher the level of conspiracy, the greater the coverup, and sometimes the wiping out of those 'who know'. The dark underside is there, hidden well, until somehow the media discovers it. Oh, Siv, I am so sorry you spoke of us. We must kill you now. I do believe that there are alliances under the radar. It is rumored that a double was substituted for George Washington by the Illuminati. Like Robin mentioned: where there is money, there is power. And power beckons those who would deal in the shadows to gain more. I doubt if we will ever find out the truth. Perhaps in centuries to come? Conspiracy theories are such fun - unless they're more truth than fiction, which sadly is most likely the case when it comes to power and control - and oh yes, money! There is a line to draw between truth and conspiracy. Where does truth end and conspiracy theory begin? There are plenty of truths out there that I believe in, though I've never seen, nor do I have physical evidence. For me, I have no clue if the Illuminati exists; I've never researched it. But I'd hope that anyone who does believe in it has researched it, and not just taken someone's word for it. I definitely believe there is a shadow government. Great post. I'm not sure whether they exist, it's not something I've researched. Hi Siv .. I feel sure some of those very ancient societies exist ... and use their power to control life around us to a degree ..